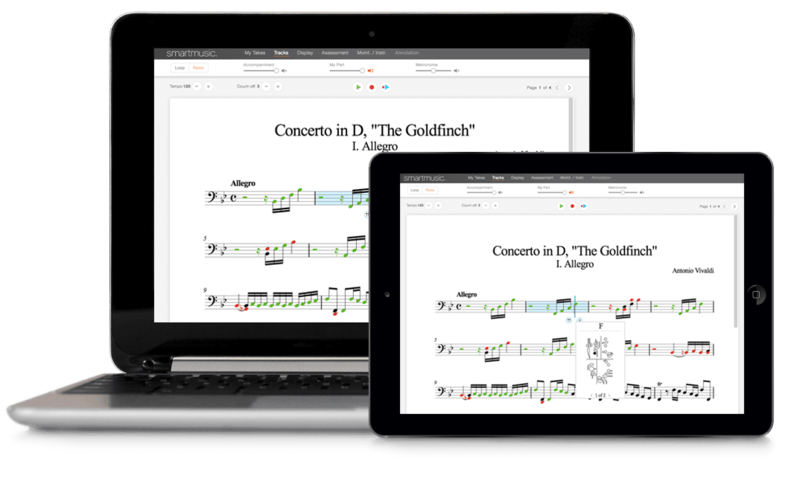 Create assignments and explore the entire SmartMusic repertoire library, including 95+ most requested method books, 5,400+ ensemble titles by composers like Gordon Goodwin, and thousands of solos from top publishers including Alfred, Hal Leonard, Kjos, and more. 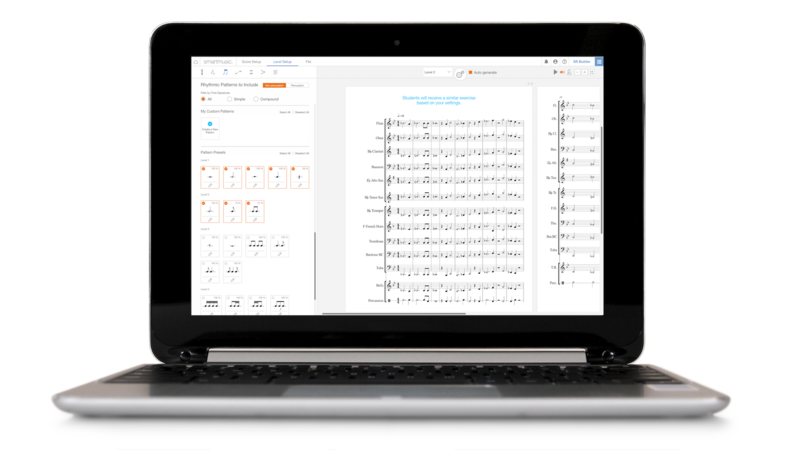 Plus, SmartMusic allows you to create, edit, and import your own music with Compose, as well as create unlimited sight reading materials with Sight Reading Builder. Students’ ability to receive, complete, and submit assignments is determined by their access level. All levels include access to SmartMusic’s core practice tools, providing immediate feedback on every performance. Teachers can also set up Student-Funded classes, where students pay for their own Premium subscriptions. Learn More.